Google Apps is a cheap and effective package that can be beneficial to any business, big or small. 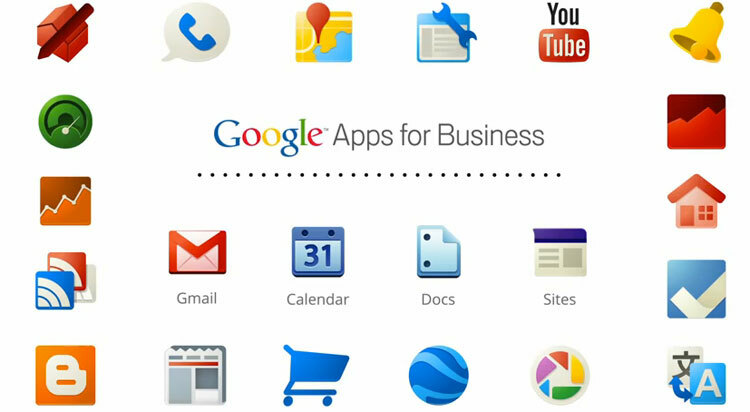 Working as a cloud based service, Google Apps for Business helps brands to “discover a better way of working together”. It was launched back in 2006 and has since evolved into a full business solution. Although many big brands can be reluctant to depend on a Google based service, the Apps for Business package can really make a big difference when it comes to a company’s processes and communication. It also allows teams to work collaboratively in a safe and secure manner, while storing all their documents in one place. Using Gmail doesn’t mean that all your employees will have @gmail.com email addresses, Google allows you to set up an email address using your own domain. It is very easy to setup and will be ready to use in just a couple of days. Email is important for all businesses and at $50 an email address you really can’t go wrong. Gmail for Business offers 30 GB of cloud storage, has a great spam filter, allows you to access your emails on the go and also provides a reliable and trustworthy service. Google Drive is a fantastic way to keep all your folders in one place without all the paperwork – a bit like an online filing cabinet. Also home to Google Docs, the online version of Microsoft Office, it allows you to create and save documents and spreadsheets in just one place and share them with other people in your team. Unlike with a Word doc where you need to email it to someone else to share and edit it, multiple users can access and edit the same document at the same time on Google Drive, making documentation a much faster process. It also provides a real-time activity stream so you can track any changes made on a document and even reverse them back to a certain time or date. Sharing documents, calendars, forms and more really makes team collaboration so much easier and allows for instant feedback and commenting. So a calendar feature may not have you jumping up and down with excitement, but when you run a business, just keeping tracking of everyone with different meetings taking place with different clients is crucial. Using Google calendar, Managers can keep track of their entire team on just one colour coded calendar. Another great feature of Google Calendar is its integration with Google Maps. By inputting an address into the calendar, employees can click on it to get directions, saving time and helping with organisation, as it provides a good journey-time estimate based on current traffic. With Gmail integration and cross platform calendar integration, this feature can find meeting requests within your emails and also merge any external calendars you may have, so that you can have your entire schedule in one place. You can even send a calendar invite from Outlook to Google and it will still sync. Google Plus is still thought of as the new kid on the block and its Hangouts feature is basically a combination of Skype and Join.Me. Launched just a year ago, Hangouts allows you to video chat with anyone in your Gmail contacts list. Thanks to the full integration across Google Apps, teams can be talking to their contacts on a hangout while simultaneously editing a document on Google Drive – this provides tons of different opportunities for client conference calls and company brainstorming sessions. With around 5,000 new businesses a day signing up to Google Apps, they have now introduced a feature called Google Marketplace, which provides a range of different cloud apps that are geared specifically towards the needs of businesses. The new Google Marketplace handpicks high quality apps that will help businesses, so it is simply a case of picking one that is going to be of assistance to your business needs. The service contains third party applications that can then be added onto a Google Apps domain to use alongside Google Drive as part of Docs and Sheets. There are lots to choose from that allow you to do things like create custom email templates, make nametags and even sign documents. Google Apps for Business has some fantastic benefits, including document storage, high security levels and a 24/7 support team. These apps are simple yet practical and are fantastic in terms of team collaboration however large or small your business is. This cloud based service really provides you with a one stop shop of productive and coherent tools that will make your whole company’s processes faster and more efficient. Have a web development related question you’d like to discuss with us? Get in touch!